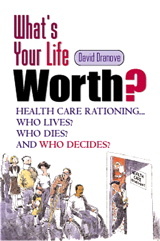 This blog was written by David Dranove, who served as the Department of Justice expert economist in this matter. Dranove’s opinions do not necessarily reflect those of Craig Garthwaite or the DOJ. On May 12, 2017, Anthem Inc. announced that it would no longer seek to acquire Cigna Corp., putting an end to a two-year saga that reached its climax in February, 2017, when U.S. District Court Judge Amy Berman Jackson ruled that the deal violated Section 7 of the Clayton Antitrust Act. [i] A divided panel of the Second Circuit Court of Appeals affirmed this decision in April. [ii] When a Delaware Chancery Court, in separate but related litigation between the merging parties, subsequently ruled that Cigna was free to walk away from the deal, Anthem chose not to appeal to the U.S. Supreme Court and pulled the plug on the deal. The two insurers announced their intention to merge in July 2015. The DOJ had reason to be skeptical. Anthem is the Blue Cross and Blue Shield Association licensee in fourteen states and, after United Healthcare, the nation’s second largest insurer by enrollments. Cigna is the fourth largest insurer. A merger of this size would seem to portend an anticompetitive increase in market power, and many stakeholders came out against the deal. But appearances are not sufficient. For the DOJ block the deal it would have to demonstrate to a federal court, using rigorous quantitative methods combined with qualitative evidence from fact witnesses and other documents, that the merger would harm competition. A lot has been written about this case, with some reporters doing a good job of laying out some of the critical issues. In this blog I try to spell out, in detail, the key issues that ultimately decided the case. 1) In what market(s) do the insurers compete? The answer seems obvious – the “health insurance market.” This belies a far more complex market environment, differentiated by the nature of the insurance purchaser (e.g., individuals versus small groups versus large groups) and geographic location. Combining economic reasoning with documentary evidence, I concluded that the merger would affect two types of purchasers: “national accounts” employers (defined based on number of employees and geographic spread) and large local employers (defined as having more than 50 or 100 employees). [v] I also concluded that the merger would reduce competition in local “upstream” markets; i.e., contracting with providers. The court largely ignored the upstream issue in its decision. 2) How would the merger affect the level of concentration in these markets? Industry participants and researchers alike may find it difficult to reliably measure market concentration due to limitations of public data sources. The DOJ used its subpoena power to obtain enrollment data from over two dozen insurers, which, when combined with census data on insurance enrollments, allowed me to produce new concentration measures. By comparing my findings to thresholds in the HMGs, I concluded that the market for national accounts headquartered in Anthem’s 14 states was highly concentrated prior to the merger, with four leading insurers – United, Aetna, Cigna, and the Blues – controlling almost 90 percent of the market. [vi] Again using HMG thresholds, I found that the increase in concentration resulting from the merger would make it “presumptively anticompetitive” in the national accounts market. I also found that the merger would be presumptively anticompetitive in the sale of health insurance to large employers in nearly three dozen local markets. This is the most problematic conclusion one can reach using market concentration measures, and was the first step towards showing that the merger violated the Clayton Act. Through hours of direct testimony by one of its experts, and hours of cross-examination of my own testimony, Anthem tried but failed to convince the judge that the DOJ analysis was unreliable. Anthem claimed that there was no industry standard for defining markets and that DOJ data lacked enrollments in many small insurance plans and therefore overstated market concentration. I countered that the missing plans played a minuscule role, especially in the national accounts market, and that some of my local market analyses did account for these small plans. The court agreed that these plans had only a small impact in the relevant markets and seemed troubled that Anthem had not produced its own market concentration measures. 3) Do the merging parties compete vigorously against one another? I presented anecdotal evidence that Anthem and Cigna competed head-to-head for many accounts. I also presented a systematic analysis of contracting data showing that Anthem took business from Cigna and vice versa. Anthem offered its own analyses suggesting it did not closely compete with Cigna. Both sides pointed out potential flaws in each other’s analyses and the court seemed ambivalent on this issue. 4) What is the predicted impact of the merger on premiums? Here the case moved away from simple measures of market structure and business stealing into esoteric economic models of pricing. Both sides concluded that, in the absence of efficiencies, the merger would cause an increase in premiums. My model predicted a larger increase and the debate about whose model was best was fit for an academic seminar. The judge did not show a preference. 5) How would the merger affect innovation? Cigna has arguably been more innovative than Anthem. It has industry-leading wellness programs, helped pioneer Collaborative Accountable Care (CAC) arrangements with providers, and is partnering with local health systems to create narrow network plans. [vii] Cigna executives testified that it needed to innovate in order to compete against larger insurers that enjoyed deeper discounts. I argued that if Anthem and Cigna merged, Cigna’s incentive to innovate would diminish. Anthem countered that in some ways it was more innovative than Cigna, but did not address whether the merger would limit the scope of innovation. The court agreed that the deal would diminish the prospects for innovation. A related issue was whether Cigna’s CACs would be equally effective if providers were paid Anthem’s rates. I argued, and the court concurred, that Anthem could not reduce Cigna’s rates without jeopardizing the effectiveness of CACs. 6) Were there benefits from the merger that would offset the harm caused by a reduction in competition? Anthem argued that the merger would produce substantial operational efficiencies, for example by reducing administrative costs, but I rebutted this claim. Anthem expert economist Mark Israel then put forth the crux of the Anthem case. He argued that after the merger, the combined firms would enjoy the “best-of-best” of their operations, combining Anthem’s deep discounts with Cigna’s innovative wellness programs and collaborative care arrangements. Dr. Israel claimed that applying Anthem’s discounts to Cigna patients would generate enormous savings that Anthem would pass on to consumers, who would end up with lower premiums, lower medical bills, and higher quality care. Judge Jackson’s questioning of experts throughout the trial suggested that she believed some markets were highly concentrated and that, in the absence of efficiencies, the merger would harm consumers. She seemed less certain about where she would land on Dr. Israel’s best-of-best argument. Would the merger allow Anthem to reduce provider payments? By how much? Finally, would these be cognizable efficiencies, a standard established in the HMGs for determining whether the court should count these reductions as a benefit of the merger. Both sides agreed that the merger would lead to lower provider payments, but sharply disagreed on the magnitude. Anthem argued that once the merger was complete, it would examine every provider contract and apply, on a provider-by-provider and service line basis, the better of Anthem and Cigna’s rates. Using actual transactions prices obtained from Anthem and Cigna claims data, Dr. Israel estimated that the annual reduction in payments would be approximately $2.4 billion. I argued that this analysis was biased for a variety of technical reasons. Using regression techniques that had their own limitations, I estimated that provider payments would fall by no more than $500 million. Neither sides’ calculations proved fully convincing, so the case turned on whether the purported savings were cognizable. According to the DOJ/FTC Horizontal Merger Guidelines, cognizable efficiencies must be merger-specific and verifiable, and cannot arise from anticompetitive reductions in output or service. Were the Reductions in Reimbursements Merger-Specific? To be merger-specific, the savings could not be achievable without the merger. I argued that one of the tactics that Anthem would use to achieve the savings was something they could have done without merging. This argument hinged on a crucial institutional fact. After acquiring Cigna, Anthem would violate the Blue Cross and Blue Shield Association (BCBSA) “best efforts” rules, which limit the amount of non Blue-branded insurance business sold by Blue plans. Anthem indicated that it would attempt to remain in compliance by getting some Cigna customers to switch to Anthem Blue-branded products. I argued that Anthem could induce consumers to switch without merging, implying that some of the reductions in reimbursements that resulted when employers switched to Anthem plans was not merger-specific. Were the Reductions in Reimbursements Verifiable? Verifiable savings must be reliably estimated and the merging parties must substantiate the likelihood they will be realized. As discussed, I challenged the reliability of the estimates. DOJ attorneys cited documentary evidence and testimony from Anthem and Cigna executives suggesting that the merging parties did not have a reliable business plan. Anthem did not know how it would comply with BCBSA best efforts rules. Anthem did not know how many providers it would force to accept the lower Anthem rates for Cigna patients. Perhaps most troubling, Cigna executives had testified about practical difficulties in integrating two giant companies with very different business models and corporate cultures. Judge Jackson described this as “the elephant in the courtroom”. Judge Jackson found that the merger would cause a substantial lessening of competition in the market for national accounts headquartered in Anthem states, and the local market in Richmond, Virginia. She suggested that the merger might also be anticompetitive in several other local markets. She also found that the best-of-best merger efficiencies were not cognizable. She did not believe they were merger-specific or that Anthem had proved it would achieve anywhere near the claimed $2.4 billion in reduced payments. The DOJ prevailed in the District Court, the Second Circuit agreed, and the merger was doomed. 685563, at *4 (D.D.C. Feb. 21, 2017). [iv] Cigna did not call independent experts to testify at trial. [v] California, Colorado, New York, and Vermont define “large groups” to be employers with between 2 and 100 employees. [vi] With just a few exceptions, Blues plans have exclusive licenses to sell to local employers, based on the location of the employers’ headquarters. Thus, Blues do not compete head-to-head against one another. I argued that it was appropriate to combine the Blues’ market shares when calculating concentration. [vii] For more on Cigna’s CACs, see Salmon, RB, Sanderson, MI, Walters, BA, et al., “A collaborative accountable care model in three practices showed promising early results on costs and quality of care,” Health Affairs, 2012; 31(11):2379–2387. Most of the recent attention on the Republican health policy agenda is focused on the desire to repeal and replace the Affordable Care Act and the resulting impact on the ACA marketplaces. This make sense given that even the rhetoric about repeal may chase private firms from the marketplaces. However, we must not lose sight of the ultimate fate of Medicaid (both the original program and the ACA expansion), especially since any changes to Medicaid may touch more Americans. We are talking, of course, about the proposal to replace the existing Medicaid program with block grants to the states. Politicians on both sides of the aisle have been blowing a lot of smoke about the costs and benefits of this proposal, so let’s try to clear the air. To understand the issues, first let’s consider a very basic overview of the structure of Medicaid. Currently, the federal government pays a portion of each state’s Medicaid costs; this is called the federal medical assistance percentage. That percentage depends on the size of each program prior to the ACA (the feds picked up between approximately 50 and 75 percent of the pre-ACA program, depending on the wealth of the state) and the extent to which the program expanded with the ACA (the feds initially pick up 100 percent of the expansion population, though that figure is due to fall to 90 percent after 2019.) The federal government sets rules that govern the programs, and these generally require broad service coverage and minimal cost sharing for the eligible population, although states can tinker around the edges and expand coverage using their own funds. All states must cover individuals in specific categories, including poor families with dependent children, as well as the elderly and the disabled. For the latter two, Medicaid supplements Medicare, effectively eliminating all cost sharing for beneficiaries of these programs. In fact, the majority of Medicaid spending goes to supplement the Medicare eligible population – this is especially important for long term and nursing home care, which is minimally covered by Medicare. States have considerably more control over program design than they do over eligibility limits. For example, currently over three quarters of all Medicaid beneficiaries receive their benefits through some type of Medicaid managed care plan. In addition, at least 20 states have begun or are considering ACO like arrangements with integrated health providers. The move towards managed care came about for many reasons, but it was primarily driven by a desire to decrease the rate of spending increases in Medicaid and provide some predictability for state budgets. To date, the Medicaid Managed Care (MMC) literature has not found consistent evidence of savings resulting from MMC programs. Part of the reason is that MMC programs differ dramatically by state, as do the effects of the programs. A little history lesson may help understand how we got to the existing structure (and provide some caution about changing it). Medicaid and Medicare replaced two state/federal partnerships. In one program, the federal government matched state payments to medical providers on behalf of individuals receiving public assistance payments (i.e., welfare). The second program, known as Kerr-Mills, subsidized state-sponsored programs for the medically-indigent elderly. State participation in both programs was spotty, with a few states like New York and Wisconsin offering generous coverage while neighboring states did not participate at all. Many states found that by refusing to subsidize indigent care, they could keep their tax rates low and gain an upper hand in economic competition against other states. This reflected a race to the bottom mentality – few states could afford to maintain generous programs while their neighbors stole businesses and jobs thanks to lower taxes. Many policy makers, including those in states that refused to participate in these programs, argued that all states would be better off if their hands were tied and everyone had to participate. So a key goal of Medicaid was to assure that every state participate at a fairly high minimum threshold, thereby avoiding the incentive for a state to defect and restart a race to the bottom. When introduced in 1966, states still had a fair amount of leeway in terms of coverage, with income eligibility thresholds varying by a factor of two across some neighboring states, but over time there has been considerable convergence. This convergence came to an end with the ACA, as half the states have refused further expansion, in part to improve their competitiveness vis a vis other states. History lesson over…let’s discuss the contemporary debate over the proposal to transition Medicaid from a federal-state partnership to block grants. The basic idea is simple. The federal government will give each state a fixed pot of money for Medicaid and lay down some minimum coverage rules. It is possible, even likely, that every state would get the same federal subsidies as they currently receive, at least at the start. States are then free to spend that money as they see fit, as long as they comply with the baseline rules. The history of state-sponsored indigent care reminds us that the pot of money had better be fairly large, and the rules fairly stringent, so as to avoid a renewed race to the bottom. If this can be avoided, then block grants could (emphasis on could) offer considerable benefits in terms of changes in program design. The theory is that block grants will make each state responsible for 100 percent of marginal spending growth, unlike the present situation where most states pick up less than half of all new spending. This added incentive is important because states have considerable leeway over program design. As much as states already experiment under Medicaid, block grants should encourage even more experimentation. At a minimum, states will further seek to limit fraud and abuse. More importantly, states will seek new ways to bend the cost curve. For example, more states may choose to contract with ACOs, and these contracts may call for more aggressive risk sharing. To take another example, if federal rules permit, states could follow principles of value-based insurance design (VBID) and increase deductibles and copayments, especially for services of questionable value. The heightened incentives also imply that successful innovations will spread from one state to the other and potentially be adopted nationally. What’s not to like about heightened incentives? But there are also meaningful risks. Deductibles and copayments have proven to be somewhat effective in controlling spending among the commercially insured. However, recent and historical evidence suggest that unless cost sharing rules are carefully designed, patients may not reduce spending in an efficient manner. Recent work shows that even relatively sophisticated employees who are enrolled in high deductible plans decrease their spending primarily by limiting the use of services rather than shopping around for a lower price. This is not heartening. Focusing on the role of cost sharing in a low-income population, we are reminded that the old RAND National Health Insurance Experiment found that cost sharing was associated with poorer health outcomes for low income enrollees with chronic health issues. We should caution that the RAND study involved traditional non-integrated fee-for-service medicine, whereas today’s providers are increasingly attuned to the needs of chronically ill patients, and can use smart phones and other technologies to help assure that patients comply with treatment regiments, dietary recommendations, and so forth. So this is a risk but not a certainty. These concerns notwithstanding, we are more worried about what will happen to funding levels over time. Federal grants will serve as a floor to program size, but if a race to the bottom ensues, the programs may remain at that floor, with states contributing the barest minimum required to keep the grants. Feds could make block grants conditional on certain state contributions, such as 50 or 100 percent matching, and then allow states to bear all additional costs, but then we suspect most states would choose the minimum match amount in which case the block grants will have accomplished little in terms of incentive effects. The basic funding mechanism creates an additional risk that has received little attention, a risk associated with changes in funding over time. While there are shockingly few details provided by those advocating switching Medicaid to block grants, experience with other social programs suggests that increases in block grants will be tied to the CPI or, at best, the medical price index. Choosing this rate is a balance of wanting to provide incentives for states to limit spending while acknowledging the reality that states have little control over the many features that drive the growth of medical spending. However, the rate of growth with inflation is not a minor question – CPI-adjusted block grants may quickly fall short of medical spending growth. An even bigger funding problem results from the fact that the growth in Medicaid spending is not only a function of inflation but also macroeconomic conditions. In economic downturns, more individuals will require help and one of the most basic roles of a social insurance system is to provide assistance in those situations. Medicaid funding should be countercyclical. There are strong arguments why the federal government should be the countercyclical funding source. First, macroeconomic shocks are not always homogeneous across the country and thus we can share the burden of these shocks across different areas. In addition, the federal government can utilize deficit spending during downturns while nearly all states have some form of balance budget requirement. These reasons help justify why the current Medicaid funding rules is formulaically countercyclical. The current funding mechanism ties our hands in a good way – as economic downturns cause local spending on Medicaid to increase, federal spending increases as well. This mechanism may limit state incentives for cost control, but it assures access. With block grants, incentives improve but access may suffer. There is no reason why block grants couldn’t be countercyclical, but then we are asking the federal government to expand its contributions exactly when tax revenues are declining. Indeed, discussions of tying grants to the CPI suggest that the proponents of block grants do not plan to make them countercyclical. Beyond that, even if federal funding is countercyclical, there is little reason to expect the states to follow suit. It may be impossible to combine the hard-edged incentives of block grants with the access assured by the current funding mechanism. But let’s at least recognize these trade-offs and choose a solution that, as much as possible, gets the best of both worlds. Can President Trump Reduce Drug Prices? Should He? We have written many times about the strengths and weaknesses of the Affordable Care Act. With a new sheriff in DC, it seems highly likely that the ACA will be dismantled, perhaps piecemeal, perhaps in its entirety. It is difficult to discern President Trump’s and/or the Republican leadership’s intentions for a replacement, but it seems clear that they will need to find new ways to hold down health spending. Given his vague statements on the campaign trail, it should be surprising that Trump has taken at least one public position in this regard – he intends to drive down the prices for brand name drugs by allowing “bidding” by government agencies (i.e. Medicare). We note that he also said he would allow bidding by Medicaid, but Medicaid already receives the lowest price on the market by statute so we can’t imagine bidding would do much for them. He supports this goal with the statement that pharmaceutical firms and their lobbyists have been getting away with “murder.” While there are many bad actors that have emerged in this sector, we both believe that this is at best a simplistic characterization of this market. Perhaps more concerning is that such an effort to lower prices will take large amounts of effort and political capital with at best a modest effect and possibly quite negative outcomes. This might be why Trump’s nominee for HHS secretary was far more skeptical of this plan. We understand and sympathize with the superficial attractiveness of this goal. The prices of many widely prescribed drugs are far higher in the US than the rest of the world. Bloomberg News recently reported the average prices paid for eight top selling drugs in the US and a dozen other nations. All prices were net of any discounts offered by the drug makers. With one exception (Hepatitis C treatment Sovaldi was slightly more expensive in Saudi Arabia), prices were always higher in the US. And the differentials are not small. The price for a one month regimen of Abbvie’s biologic Humira is $2500 in the US, versus $1700 in Germany (which generally pays the second highest prices.). Roche’s breast cancer infusion drug Herceptin costs $4700 per month in the US versus $3200 in Germany, while Novartis gets over $10,000 for a one-month supply of its Leukemia drug Gleevec, versus $3000 in Germany. The overall savings from reducing US drug prices to the levels paid by others countries could be fairly substantial, as seen by a bit of math. We estimate that US spending on drugs and devices accounts for as much as 20 percent of total health spending (including spending in hospitals.) Spending on branded drugs and patented devices may represent approximately 80 percent of this total. Several studies suggest that post-rebate prices of branded drugs in the US are, on average, at least 20 percent higher than in Europe and elsewhere. Eliminate the price differential and total health spending could fall by 3 percent or roughly $100 billion. Why not go for it? However, as economists often note, a little more analysis shows that it’s unlikely you will simply be able to find $100 billion laying on the sidewalk. If it was that easy, some previous administration would have scooped up that money. Supporters of allowing Medicare to bid for drugs argue that this is all just a simple matter of purchasing power – the US is the largest consumer of drugs, so why shouldn’t we get the best prices? As Trump says, “We’re the largest buyer of drugs in the world, and yet we don’t bid properly.” If he means that bidding properly is simply a function of your size, this is at best a naïve understanding of how negotiations work, which some might see as ironic. Simply put, size alone won’t do the trick. If it did, then United Healthcare, Express Scripts, and other large US purchasers would all pay lower prices than many nations, including Canada. Indeed, size alone never explains pricing, unless size generates some scale economy in production, something that is lacking in this market. Nor should we expect drug makers to simply accede to demands for lower prices. Drug makers routinely face these demands from every nation and are unlikely to cave unless they have a better reason than “We’re big and we want to pay less.” As any experienced negotiator knows, two key factors will ultimately determine the prices of the drugs we buy – how much the drugs are worth to us, and how willing we are to walk away from the deal. Right now, other nations have the negotiation edge on both fronts. If we are to approach pricing parity across countries, some things have to change, either here or in the rest of the world. When deciding whether and how much to pay for drugs, most industrialized nations rely to a certain extent on cost-effectiveness analysis. And if a drug is not cost-effective, then the health system refuses to pay for it. (See, for example, the recent decision in the United Kingdom to move the oncology product Kadcyla from the routine coverage list because of its cost.) Both key factors mentioned above are at play here. First, research by Harvard’s Kip Viscusi and others shows that Americans place a higher value on life than anyone else. This leads everyone else to adopt a relatively low cost-effectiveness threshold, which means prices must be low (or the benefits quite high) or the product won’t win approval. Second, if patients in other nations don’t like it when their health system refuses to turn down a drug, they have nowhere else to turn – the system is effectively an insurance monopoly. If a US insurer refuses coverage, employers might turn elsewhere. The insurer might even face a lawsuit as we have seen in the case of the reluctance of both public and private insurers to initially provide access to the expensive Hepatitis C cure Sovaldi. In other words, national health systems can and do credibly threaten to walk away from coverage. Facing competition and litigation, U.S. insurers cannot do the same. So how can we achieve parity? A good first step would be to eliminate rules under Medicare Part D that force insurers to cover many drugs, seemingly regardless of the price. Under Part D, all drugs that are in protected classes such as Oncology, must be included on all formularies, i.e. the insurers don’t have the right to walk-away. Given this fact is common knowledge, it doesn’t take a sophisticated pharmaceutical firm to capture most of the surplus from that negotiation. And private insurers in the under-65 market need some legal protections should they refuse to cover certain drugs, even those drugs approved by Medicare. If the Trump administration truly wants to go further, it could turn Medicare into a monopsony purchaser. But this would not be enough. Medicare would have to be willing to walk away from deals, and this means that some patients will not receive life-saving drugs. After all, if we want European prices, we must accept European restrictions. You can’t have one without the other. Even if we can push down drug prices, we must ask if we want to. Note that this is a far harder decision for the United States than any other country. We are but one player in a global drug pricing equilibrium in which high US prices subsidize most of the global medical R&D enterprise while the rest of the world free rides off us. If the United Kingdom or Canada doesn’t offer access to a product, this doesn’t have the same effect on the innovative process as the United States. Simply put, if the United States decided to move to European prices, without Europe increasing its prices, we would be determining not just access for our citizens but for the entire world. Without profits from the United States, then the pipeline of R&D will begin to dry up. So the current situation may be bad for the US but it may be worse if we do something about it. That being said, now may be the time to have a conversation about whether we have “too much” innovation. New drugs that offer relatively incremental improvements are receiving outsized rewards. In addition, we are seeing a pace of spending growth in Medicare that might exceed our national resources – at least a portion of which is a result of Medicare paying for all new treatments. We welcome a conversation on the profit-innovation tradeoff, but realize that this is a far more difficult conversation that involves hard discussions about the value that we place on life. It certainly is a conversation that requires more than 140 characters. If we don’t want to discuss the effect of lower prices on innovation, then the hard problem may not be figuring out how to reduce US prices – if we are willing to say no to some drugs, then we can get lower prices. The hard problem may be figuring out how to get the rest of the world to pay higher prices. If President Trump can do that, then he really has mastered the art of the deal. Comments Off on Can President Trump Reduce Drug Prices? Should He? The past year has brought a lot of attention to an already charged topic, the price of pharmaceutical treatments in the United States. This week, the shocking price hikes for the generic drug Daraprim (which we will discuss more below) has drawn even more focus to this issue, as has Hillary Clinton’s announced plan to reign in high pharmaceutical prices. In this discussion about prices it is tempting to lump all high priced drugs together. For example, in conversations about Daraprim many have brought up last year’s poster child for pharmaceutical company “greed,” Sovaldi – the first cure for hepatitis C. And media reports about Daraprim often cite a Gallup poll on American’s positive and negative views of industry in which drug makers rank 23rd out of 25 industries. But lumping all drugs into a single category of “good products made by evil firms” is not only incorrect on its face, it can lead to very poor public policy. It is critical that we realize that the high prices charged by Gilead are fundamentally different than the current increase for Daraprim and other older generic drugs that provide value to a small patient population. To understand this, we need to be very clear about how Turing Pharmaceuticals is able to “get away” with the high prices it is charging for a generic drug. In August, Turing bought the manufacturing capabilities for Daraprim and it is currently the only manufacturer of the drug. If another firm wants to manufacture the drug there are no intellectual property related restrictions why they cannot (the patent protection for this drug has long since expired). They would however have to receive FDA approval for selling this drug and secure production capabilities which involves both actual and opportunity costs. However, it isn’t clear that it would be profitable for two manufacturers to supply this drug because it serves a very small patient population (roughly 10,000 prescriptions a year) and therefore given the high fixed costs of entering two firms might not be able to minimize their costs. As a result, the market currently has only one firm that is using its monopoly power to charge an exceptionally high price. Economists call these situations natural monopolies, and there is a long history of price regulation of other natural monopolies such as utilities. But a large body of economic research questions the success of these price regulations, as regulated industries are able to “capture” the regulatory process, not only extracting prices that may be just as high as regulated prices but, perhaps more importantly, stifling any hope of significant innovation. Complicating matters further here is the decision to define a particular product or segment as a natural monopoly. We certainly wouldn’t want this to apply to all pharmaceuticals or even all generic products. It is also difficult to use a “we know it when we see it” line of reasoning in these settings. We also need to contrast situations like Daraprim from other high prices drugs. For example, Sovaldi is a new product that provided the first cure for hepatitis C. It also charged a very high price, $84,000 for a 12 week treatment cycle. But this monopoly position was short lived; Express Scripts has already ditched Sovaldi in favor of a lower priced alternative, Abbvie’s Viekira Pak. While prices for both products remain high, the lure of profits is attracting additional research into other hepatitis C drugs, and, more generally, into treatments for a host of other diseases that are currently either untreatable or treatable only at a high cost. Industry critics may argue that we would be better off with lower profits and less innovation. This is a valid argument and worth debating. But let’s not lump the high prices for innovative new drugs with the behavior of firms such as Turing, which as far as we know has never innovated anything. We now run the risk of letting the pricing decision of a small firm affecting a few thousand consumers become the poster child for sweeping regulations of a large, dynamic and innovative sector of the economy. In the process, we may forget that there are two sides to the drug pricing debate. As a side note, part of Clinton’s plan for lowering drug prices is an attempt to increase the amount of money that pharmaceutical firms spend on research. To the extent that this money is used to develop new and innovative products, we should expect it will only lead to more of the high prices she is decrying. Two related news items caught our attention this week. The first was a statement by Hillary Clinton that she would consider scrapping the ACA Cadillac tax on the most expensive health plans. This tax applies to the value of health insurance packages over a certain limit ($10,700 for individuals and $27,500 for families). Senator Clinton worries that “it [the Cadillac Tax] may create an incentive to substantially lower the value of the benefits package and shift more and more costs to consumers.” Well, that was half (or maybe all) of the point of the tax in the first place, wasn’t it? There are few things about which health economists are in near total agreement, but we can think of two. First: The tax exempt status of employer sponsored health insurance is regressive, inefficient, and a major contributor to this country’s high health spending. Thanks to the tax exemption, Americans have excessively generous health insurance and do not face the costs of their medical decisions. So yes Ms. Clinton, the whole purpose of the Cadillac tax was to lower the value of benefits and shift costs onto consumers. You are smart enough to realize this, so why are you feigning ignorance? We suspect it has something to do with the second point of agreement: The tax exempt status of employer sponsored health insurance is a middle and upper class giveaway, especially favored by unions whose members tend to have the most generous and expensive health insurance coverage of all. As a result of its popularity it is almost impossible for politicians to eliminate. And so it was quite the political coup when President Obama inserted the Cadillac tax into the ACA. Over time, as medical spending continues to grow, this tax will incrementally apply to more insurance packages. In this way, it is like a slow phase-out of the tax deductibility of health insurance and represents one of the best means for the ACA to actually do something about health spending. It may only have been a baby step towards eliminating tax deductibility, but it was a step nonetheless. Of course, unions and other beneficiaries of the regressive tax exemption have been up in arms about the Cadillac tax. Ms. Clinton is sure to pick up a few more votes (and lots more union money) with this politically shrewd, and economically reckless, policy statement. But in the process, she is going to hamstring the ability of the ACA to meaningfully address cost growth. The second item in the news was a report on the further erosion of employer-sponsored health insurance. According to the federal Agency for Healthcare Research and Quality, just three years ago, 78.2 percent of working Americans were eligible to purchase health insurance from their employer. Last year that figure dropped to 75.4 percent. Almost all the drop occurred in 2014. As we (and others) have predicted, employers are dropping coverage and letting their workers fend for themselves on the exchanges. The AHRQ report is mercifully devoid of commentary…many are likely to bemoan this decline. (Ms. Clinton, we are thinking of you!) But we view this as an encouraging trend. As we have blogged in the past, it is high time that we decouple health insurance from employment. The exchanges give us our best chance to do this. Of course the ACA still ties the hands of large insurers, who must continue to offer health benefits, but we can be grateful for this little bit of progress. Though we do note that we must approach this move to a heavier reliance on the ACA exchanges with great caution. Every individual that earns less than 400% of the poverty line is eligible for subsidies from the federal government if they purhcase insurance on the exchange (and don’t have an offer of insurance from their employer). While making subsidies available to these individuals increases the horizontal equity of this tax and transfer program, it also further increases government obligations. Given the relatively generous minimum insurance packages under the ACA, these costs could grow well beyond our capacity to pay them. Yesterday’s Supreme Court ruling was a decisive, and perhaps the decisive, victory for the Affordable Care Act (ACA). Legal opponents of the law are likely hamstrung for the foreseeable future (forever?) while supporters are giddy about the future prospects of the law. We note that there were two components to the ruling, only one of which was necessary to save the ACA in the near term. The first component was the decision that the wording of the law is ambiguous. This normally would have entitled the Executive Branch, in this case the Internal Revenue Service, to apply its own interpretation of the term “established by the state.” (Of course, Justice Scalia found nothing ambiguous in the wording, but we are not here to debate that point.) This is precisely what had been occurring, and the Court could have ruled that in the context of the bill the wording was unclear so we can continue on with business as usual. The second component is more troubling. It appears (to our admittedly untrained legal minds) that Chief Justice Roberts has claimed new powers for the Supreme Court, entitling it, and not the executive branch, to interpret ambiguously worded laws. While we are not legal scholars, the majority opinion does feel like an exercise in tortured logic where the end goal is clear and the writer is just trying to find a way to get there. We understand perhaps some reason for this attempt. An important implication of the ruling is that the IRS may no longer apply its own interpretation of the term “established by the state.” This is vitally important to supporters of the ACA, because it prevents a future IRS, under a Republican administration, from finding its own meaning and effectively shutting down the federally-operated exchanges. We are reminded of the earlier Supreme Court decision where Roberts dug deep to equate penalties and taxes to save the ACA. Except in that case he was going against the very logic of Congress and the President, both of which plainly said while the law was being debated that it did not involve any new taxes. If anything, this time he has dug even deeper. We are not sure why the context of the entire bill and Congress’ intent was so unimportant in the first decision but critical to the second. Just as economists might agree that a mandate is a tax, political scientists would agree that a state is not the federal government. While we agree that the context is critical for understanding the law, we would hope that the proverbial rules of the game remain constant rather than morph to fit the goal. The Republicans have offered two primary critiques of the Supreme Court decision. The first is the obvious semantic one. The second is a response to the Chicken Little warnings issued by Democrats who worried that if King v. Burwell had gone the other way, federal exchanges would fall apart and millions would lose coverage. Republicans countered that the law was worded as it was in order to push states to operate their own exchanges. We are highly suspicious of this argument, for two reasons. First, following Scott Brown’s surprise victory to replace Senator Ted Kennedy, when Democrats no longer had a filibuster-proof majority in the Senate, the final version of the ACA was rushed through without the usual reconciliation between House and Senate versions. (The Senate needed the legislation to be treated as a budget bill, which would limit filibuster.) In the commotion surrounding this legislative sleight of hand, we suspect that those four crucial words were anything but deliberate. We should also take a minute to realize that the laws problematic and “inartful” language, is likely a direct result of this attempt to circumvent the normal process for passing rules in the Senate. In their attempt to pass the law as quickly as possible, and without a conference committee, the Democrats caused this problem. Normally, Congress would pass additional legislation as a technical correction, but in this case who would blame the Republicans for refusing to help fix a bill that was passed through extraordinary measures (though we note that we oppose most of the other refusals of both parties to come together and work on legislation over the past several years). As far as what would have happened if the decision had gone the other way? Some argue that states would step in if the federal exchanges fell apart. While some states may have done this, we doubt that the majority would. We agree it would be the rational thing to do, and we want to believe in the relative wisdom of state lawmakers, but in our heart of hearts we simply cannot. After all, we only need to look to the 21 states that have not expanded Medicaid to see examples of lawmakers turning down billions of dollars in federal subsidies while simultaneously leaving hundreds of thousands of local residents without health insurance coverage? Never before had so many noses been cut off to spite so few faces. We are not sure what appendages would be cut off this time, but we can only imagine the indignation emanating from the mouths of Bobby Jindal, Rick Perry, and the rest as they refuse to organize state exchanges in the name of opposing “socialized medicine.” Please. As we’ve detailed before, the exchanges (in concept) represent a conservative, market-based approach to expanding health insurance coverage and freeing the economy of employer-provided health insurance. Republicans should support them. Since Republicans insist on placing political interests above ideological interests, Chicken Little may have a point. While we agree that there are many changes we would like to see to exchanges, we also see them as a vital and now permanent part of the American health insurance system. Republicans should stop focusing on foolhardy efforts at repeal and instead concentrate on what is necessary to make the current system work better. We have recently blogged about what is perhaps the best feature of the Affordable Care Act – the individual insurance exchanges. These exchanges have the potential to create one of the first well-functioning individual insurance markets in the United States. In addition, they are an implicit recognition of the nature of the contemporary American economy – one where workers frequently move employers and are increasingly serving as independent contractors for multiple firms. However, a recent ruling by the California Labor Commission reminds us of what must be one of the worst features – the requirement that large employers provide health insurance to all employees working more than 30 hours per week. This mandate is a remnant of a 1950s economy where workers remained employed at the same firm for decades and the Internet was just a series of tubes that existed in our dreams. Ironically, the ACA insurance exchanges not only make the employer mandate obsolete, but the mandate actually weakens the viability of the exchanges by locking a large portion of the healthy population into the employer provided insurance market. In the ruling in question, the Commission declared that Uber drivers in California are employees, and not independent contractors. Data show that 15 percent of UberX drivers work more than 35 hours per week, and 40 percent of UberBlack drivers work more than that amount. Another 30 percent of UberX drivers average 16-34 hours per week. Under the ACA, these hours statistics mean that a national interpretation of the California ruling would affect tens of thousands of people who contract as drivers with Uber, none of whom will be better off for it. If all Uber drivers are considered employees, this ruling means that Uber must either provide health insurance to its drivers, pay a penalty, or limit the hours of all of their employees. It is unlikely that Uber will pay the penalty. If it provides insurance, it would want to lower compensation to offset the expense, but this would be practically impossible for Uber. The reason is that Uber has a “per ride” compensation system, so it would have to reduce compensation across the board, including drivers who work less than 30 hours weekly. It seems that the only viable option for Uber is to cap all drivers at 29 hours per week – something that would great limit the flexibility of Uber drivers. Note that in a survey of Uber drivers, 74 percent said that they value the ability of Uber to smooth their income. In weeks where their other jobs (over 60 percent of Uber drivers have another income source) don’t provide enough income they can increase their hours with Uber to make up the shortfall. Given the liquidity constrained nature of many individuals, we should applaud the ability of firms like Uber to help the meet temporary income shortfalls through increased labor supply rather than more dubious means such as pay-day lenders. The exchanges represent the first viable substitute for an employer mandate, and we should make every effort to support this policy. Without exchanges, many would-be self-employed workers would be hard pressed to find affordable health insurance and, if they could, they would be one illness away from reclassification into a much higher premium category. This would naturally drive many workers to choose a large company offering health benefits (even without the employer mandate, around 99 percent of large companies offer health insurance to their workers). Of course, the companies offering benefits reduce their wages to cover the cost. But most workers don’t mind this – the cost of obtaining individual coverage was, before the ACA, was so much higher than the decreased wages from their employer. But what a silly way to organize contemporary labor markets – i.e. forcing people to work for large companies in order to have insurance coverage. This shoehorns people into jobs that are often sub-optimal or in the case of the recent Uber ruling may constrain them from getting the most out of existing employment opportunities. It also provides an artificial competitive advantage to large firms over small firms and new entrants – which often have to pay much higher rates for health insurance and therefore face higher labor costs. We support the ACA exchanges because they eliminate this folly. But it is equally foolish and shockingly counterproductive to also require firms to provide insurance. If it were not for this mandate, all firms could offer their workers higher wages and let them find the coverage they want on the exchange. This would level the playing field for small firms and give peace of mind to the self-employed. It would also deepen the risk pool in the exchanges, which is essential to their long term success. In other words, if we get rid of the mandate, we sever the artificial relationship between health insurance and labor markets. But the mandate, and the antiquated economic logic it represents, keeps this artifice intact. Many companies have already redesigned their jobs to skirt the 30 hour rule. Uber will soon join their ranks. It is the height of folly. Two weeks ago we received our first signs that all may not be well in the land of milk, honey, and low priced insurance, i.e. the ACA insurance exchanges. Many insurers, including some of the largest in each state, have requested double digit rate increases, with some asking for raises that exceed 30 percent. A casual review of these requests suggests that the increases are largest in areas where the premiums were initially lowest. If these increases are approved, it will mean dramatically higher payments for enrollees, and escalating tax bills for the rest of us. This is particularly true when the premium hikes affect the lowest priced “silver” plans available in the market (as the subsidies are tied to premiums for the second cheapest silver plan). Of course, the premium increases might backfire on insurers, but only if enrollees opt to switch to cheaper plans. However, we have grave doubts about whether this will be the case. If participants in the exchanges behave like enrollees in employer-sponsored plans, then it seems unlikely that there will be much switching out of plan. This is a natural consequence of the way the exchanges work, combined with well documented inertia on the part of health insurance enrollees. What is this inertia? Academic research performed here at Northwestern University and elsewhere convincingly shows that employees are reluctant to switch health plans, even if they stand to save $2000 or more without sacrificing quality or access. In addition, a pair of studies of Medicare Part D prescription drug plans also demonstrate that consumers switch plans infrequently and those that switch do those mostly in response to changes in the design of their own plan (i.e., are their preferred drugs on formulary) rather than in response to the relative financial attractiveness of theirs versus competing plans. The broad reason behind this behavior is something that we can all relate to – most of us would rather avoid the unpleasant task of comparing health plans. The architects of the ACA exchanges understood how difficult it is to shop around for insurance and wrote some rules to simplify the task. All plans have the same minimum benefits, and plans are shown in “medal” tiers (bronze, silver, etc.). But we question whether this is enough to get individuals to reconsider their health plan choices. Consider that the plans in the Northwestern study were practically identical except for premiums, deductibles and cost sharing provisions whereas the exchanges plans are far more heterogeneous. Exchange rules can catalyze this inertia (now there is an oxymoron!). Most exchanges automatically reenroll participants in the same plan they had in the previous year. We suspect that the first time that many enrollees will find out about their premium spikes will be when they get their first bill. Consider that recent survey evidence shows that 70 percent of enrollees in ACA compliant plans didn’t shop around before renewing their coverage. And by the time they truly digest their new expenses, it may be too late to switch. (Of course, the poorest enrollees in the cheapest plans may have no premium sharing regardless, but that is another story for another blog). We are tempted to hector the American consumer into becoming better shoppers by reminding them that they spend more on health care than they do on cars, yet they spend infinitely more time shopping for the latter than the former. But we are reminded that driving a car can be fun, while engaging with health insurers is, shall we say, less fun (and that’s coming from two health economists, imagine how real people feel!). So rather than browbeat consumers into paying attention to prices, we think it better to find other ways to “nudge” them to shop around. We also note that if this was solely about what consumers pay for health insurance we might be less concerned, in a free society people will make mistakes. However, a large fraction of these costs are borne by taxpayers and thus we care quite a bit more about the outcome of these mistakes. When it comes to first time buyers, the exchanges do a great job. In this case, “inertia” means going without insurance and paying a penalty. First time buyers have to shop around and the websites are designed to facilitate comparison shopping. The standardized plans and medal tiers, combined with links to network providers, make the process for first time buyers relatively pain free. Though we do note that this requires these websites to have up-to-date and accurate information about these networks (again, a topic for another day). But reenrollment is another story. No one wants to shop for health insurance a second time, so most of us are happy to reenroll in the same plan. Even if this is not a conscious choice and however irrational it may seem, the trials and tribulations of everyday life seem to make it hard to take the time to concentrate on the long term planning of health insurance compared to the short term difficulties of work, kids, and other tasks. The rule makers have indulged our lassitude by making this reenrollment automatic and painless, or at least painless until the bills come in the first month. Our recommendation is simple and not unique to this setting – do not automatically reenroll individuals in the same plan. We are not suggesting that everyone has to sign up anew each year – too many who are currently enrolled will fail to do so and the number of uninsured would increase. While we are both big believers in personal responsibility, such a proposal would be throwing the baby out with the ACA bathwater. Instead, we are suggesting that at renewal time, all individuals are asked to affirm whether they want to keep their plan, switch plans, or drop coverage. Those who do not respond are automatically reenrolled, but are not necessarily assigned to their own plan. There are a number of options for reassignment that would avoid financial surprises – for example enrollees could be reassigned to any plan that cost no more than the second cheapest silver plan. In addition, they could be allocated at random to a plan that matches the distribution of people that actively re-enrolled. There are many positive and negatives to each decision rule and we will allow rule makers to figure out the details. We should note that we are not attempting to force people into cheap plans just to minimize their expenditures. After enrollees are reassigned, they can be given additional time to accept the new plan or pick another (possibly their old plan). What we want to avoid is that a lack of attention is costing everyone money because insurers may be gaming the design of the exchanges and consumer inertia. Our proposal has several benefits. First, it allows enrollees the option to affirmatively ask to reenroll. Those who initially fail to act will be given a chance to reconsider. Many will perk up and do some comparison shopping and those who do not will be switched into relatively cheaper plans.Some will go tech crazy and buy quadcopters under $100. We would expect that the combination of these factors will encourage insurers to redouble their efforts to hold down premiums while maintaining other elements of plan design that will attract enrollees. Health insurance markets have never functioned perfectly and there is plenty of blame to go around for their failure. Exchanges offer a partial solution to the problem by increasing the ability of customers to comparison shop. While the rule makers have taken due care to assure successful competition for first time enrollees, enrollee inertia threatens to undermine the ongoing success of exchanges. Let’s put an end to automatic reenrollment, and help assure continued vigorous competition within the exchanges. As insurers begin to consider their product offerings for next year, they have had their first chance to look at a full year of data from the new customers in their ACA exchanges plans. We bet this was a sobering experience, because last week came the news that many exchange health plans are seeking double digit rate increases. Blues plans in New Mexico, Tennessee, and Maryland have all asked for increases of 30 percent or higher. The largest insurer in the Oregon exchange is asking for a 25 percent increase and many other insurers have stated that they are not far behind. How far we’ve come from the celebratory statements from the Obama administration about the low premiums in the first year of the exchange and the recent small rate hikes for non-exchange plans. But if anything was to be expected, it is exactly this outcome: large increases during the first years of a new insurance market. While insurance industry critics will undoubtedly blame the increases on market failures, price gouging and the rapacious greed of industry executives, the reality is that these increases demonstrate that the exchanges are functioning the way they were intended – as vibrant and competitive but still nascent marketplaces. Like any new product marketplace, the competitors in the exchanges are still trying to figure out the value created by their product and the costs of bringing that product to market. And there are some dangers in this process – markets can be messy – but it is far too soon to give up on this most promising aspect of Obamacare. However, it is time to accept that even fairly priced health insurance is going to be expensive in a nation where health costs run so high. If anything, buying new insurance products from new exchanges only increases the volatility of insurance premiums. When it comes to understanding the pricing of health insurance, particularly new insurance products, a little economics (and a soupcon of business strategy) goes a long way. When any business offers a new product the price they charge amounts to an educated guess. They attempt to determine demand for similar existing products, and then extrapolate from that across the different dimensions of their new offering. For traditional product markets, this involves having a really good sense of the cost of producing the product and estimated information on customer demand. The more novel the product, the less the price is educated and the more it is guess. When the new product is health insurance sold through new exchanges, the problem is magnified, because insurers don’t have a good sense of either costs or demand. Most critically, insurers had to guess about the health risks of their enrollees. The Obama administration had hoped that the ACA’s subsidies, mandates, and penalties would encourage a representative share of low risk individuals to sign up. Evidence from enrollment in the exchanges suggests that enrollees ended up older and lower income than expected. Insurers may not have been as optimistic as the administration, but even the most pessimistic of insurers appear to have failed to anticipate the selection in the market. Insurers who were burned by this unfavorable selection in the first year are using this opportunity to recalibrate their premiums to more appropriate (i.e. at least breakeven) levels. Megan McArdle examined the filings requesting these rate increases and found some startling losses for many insurers. For example, Moda insurance in Oregon had negative 60 percent in its first year, and they are not alone. Only now do insurers have enough data to figure out what’s driving these losses and price accordingly. Even if insurers guessed right in the first year, they know from experience that attrition in insurance markets tends to adversely affect risk pools, as the sick and old reenroll at higher rates than the healthy. This is particularly true if insurers are forced to raise prices and the marginal customers drop out of the insurance pool. This is one reason why rapid price increases are common for new insurance products outside of the exchange, and helps explain the recently discussed price hikes in the exchange. The third reason for the rate hikes combines a bit of behavioral economics with business strategy. Research shows that most health insurance enrollees who do not drop coverage display considerable inertia. That is, they often spend a lot of time when first choosing a plan, but once enrolled they tend not to switch, even if there are opportunities to save money by doing so. Some economists estimate that this inertia can cost enrollees thousands of dollars annually. Health plans that were aware of this inertia would have a big incentive to lowball premiums for their new exchange offerings. By pricing below costs in the first year they would gain valuable market share. They can then recoup any losses by increasing premiums to their “loyal” (or more accurately “passive”) enrollees in later years. In addition, regulations contribute towards this inertia and pricing strategy. For example, features of the law that limited the losses an insurer could face in the first few years, such as risk corridors and reinsurance, may have unknowingly contributed to this gaming behavior. In addition, low income enrollees received fixed subsidies based on premiums for the second cheapest silver plan. This would explain the pattern of low initial prices and the high increase in premiums in later year. Firms know that the plan which offers the second cheapest silver premium in the first year of an exchange likely attracts the most customers because they would be the benchmark plan used to set the subsidy. As long as all insurers begin to price at cost in the future then the market share of the originally artificially low price plan will remain high and that company profits. Last but not least, health care spending is growing, and last year may have seen a new spike, due to rising drug costs and the exercise of pricing power by concentrated providers. We will soon learn about premium increases for non-exchange plans and from this we can infer how much of the increases in the exchange reflect basic economics of the health care market – which unfortunately point to higher prices in the future. In my opinion we have lots to learn from the Europeans, their e111 form takes care of almost all basic needs. We shouldn’t be limited by a us vs them attitude about this. Call it normal market forces, or call it “price gouging” if that is how you must describe firms charging a market clearing price. But the big takeaway is that in the first years of a new insurance market, we should be surprised if pricing did not follow the very pattern that we are now witnessing in the exchanges. And that may very well be good news, because the same economic forces suggest that premiums will quickly settle down, as risk pools stabilize and strategic entry pricing becomes less relevant in mature markets. However, there is a dark side of competitive insurance markets that must be acknowledged. As insurers raise prices to cover their sick populations, we know that they may chase out the healthier enrollees. Consider again the case of Moda in Oregon, which lost 13,000 members last year when they raised prices by 10.6 percent. What is keeping insurance executives awake at night, and what should be worrying Obamacare supporters, is the possibility that those who leave are the young and healthy enrollees that have already been far too difficult to attract. These individuals may decide that the fairly low Obamacare penalties aren’t worth the increasing premiums. For example, in the most recent open enrollment people it is estimated that 3-6 million people were required to pay the penalty for being uninsured but less than 200,000 people took advantage of the ability to sign up for coverage upon being told of this penalty at tax time. This suggests that these individuals are making a conscious choice. If this pattern continues and leads to an overall death spiral for the markets, it will be an unfortunate outcome for all involved. Supporters of the ACA signed on to a plan that relies utterly on competitive insurance markets. However, some of these individuals appear to have been also believed in the fantasy they were sold that the exchange markets were the only thing standing between American citizens and low-cost health care. That’s simply not the case. Now that they have seen exactly how these markets function, let’s hope they don’t have buyer’s remorse and attempt to enact onerous regulations that exacerbate the potential problems in these markets. Rather than bemoan market forces, let’s harness them to make the exchanges even more effective. Over the next few weeks we will discuss plans for insurance design that will help us move towards these goals.